The new Moto X arrives with a larger 5.2 inch AMOLED display that packs a FHD screen resolution of 1920×1080 pixels. This screen is topped with a scratch resistant Corning Gorilla Glass 3 protection. The handset houses a quad-core Snapdragon 801 processor at 2.5 GHz backed by Adreno 330 GPU and 2 GB of RAM. Fueled by Android 4.4 KitKat, the new Moto X comes with a 13 MP main camera with dual LED flash and a 2 MP front-facer with FHD 1080p video recording ability. Other goodies onboard the handset are 16 GB or 32 GB of non-expandable storage capacity, 3G, Wi-Fi, Bluetooth 4.0, GPS, NFC and a 2,300 mAh battery. 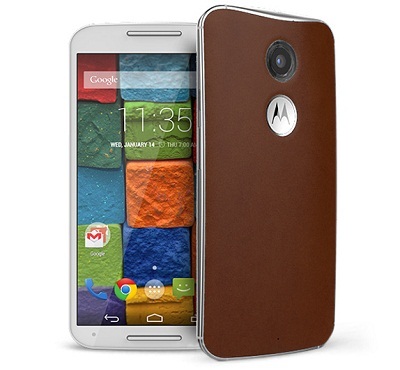 The Moto X comes in 25 different back finishes including leather and wood to enhance the look of the phone. 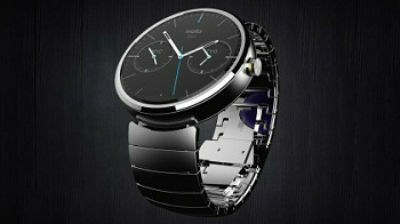 It also has Moto Display (Active Display), enhanced voice control and other aspects. 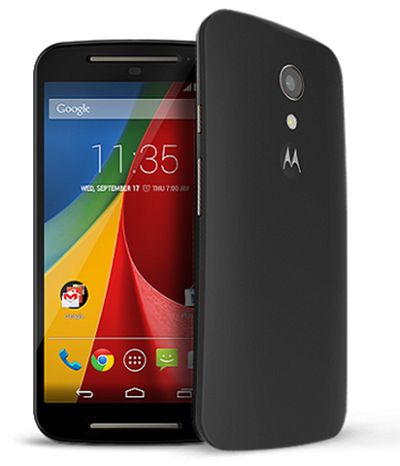 The Moto G sequel includes a 5 inch display with HD 720p display along with Corning Gorilla Glass 3. A 1.3 GHz quad-core Snapdragon 400 processor powers the device along with 1 GB of RAM and 16 GB of default storage capacity that comes along with a micro SD expansion card slot. The camera aspects include an auto focus 8 MP primary camera with LED flash and a 2 MP front-facer for clicking selfies. Onboard are 3G, Wi-Fi, Bluetooth, GPS, Android 4.4.4 KitKat platform and a 2,070 mAh battery. The smartphone is priced at Rs 12,999 and it will go on sale starting from today. Finally, the Moto 360 smartwatch based on Android Wear platform flaunts a 1.5 inch display with a 320×320 pixel resolution along with Corning Gorilla Glass 3. The wearable device uses a TI OMAP 3 SoC backed by 512 MB of RAM and 4 GB of native storage capacity. Also, it houses a 320 mAh battery that should be capable of lasting for a day. The Moto 360 comes with a leather belt strap, two Stainless steel straps and other variants that will be announced later. The smartwatch comes with IP67 certificate that makes it water resistant.